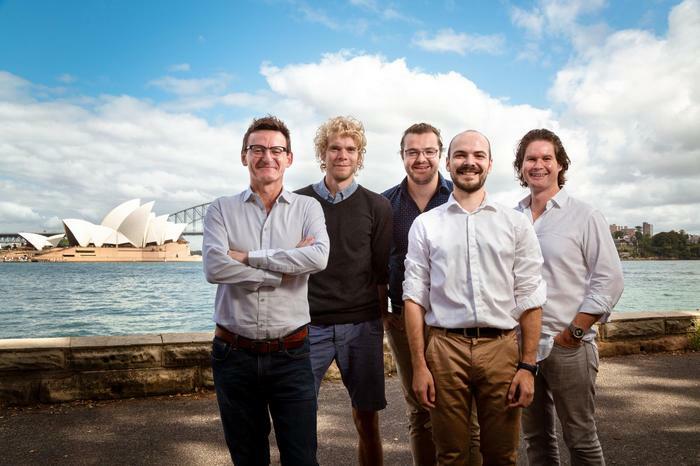 The collaborative spirit within the quantum computing research community is bearing fruit with joint research by scientists at UNSW and the University of Sydney which has “overcome a fundamental hurdle” in the field. In a paper published this month in Nature Nanotechnology, a group made up of researchers from quantum research centres based at UNSW and the University of Sydney, as well as the University of Cambridge in the UK, have demonstrated a technique of reading the value of quantum bits (qubits) that offers “significant advantage in compactness and simplicity”. Among the authors of the paper are Professor Andrew Dzurak, a chief investigator at the UNSW-based Centre for Quantum Computation and Communication Technology (CQC2T) and Professor David Reilly, a chief investigator at the Centre of Excellence for Engineered Quantum Systems (EQUS), at the University of Sydney. “This paper has combined using a single-gate electrode technique to read-out information – a method developed by David Reilly’s group in 2013 – with the requirement for single-shot readout of qubits that can be manufactured using existing silicon chip technology – a capability we developed in 2014,” said Dzurak. The work shows the viability of a “gate-based readout mechanism” that detects the state of a qubit “using the same gate electrodes that define the quantum dot itself”. Potentially this allows for a simpler architecture and more compact gate design. “This mix is very important for scalability,” Dzurak added. The fact the paper was authored by researchers associated with rival commercial organisations – Dzurak is a lead scientist with Silicon Quantum Computing (SQC), and Reilly is director of the Sydney hub of Microsoft’s quantum lab network – is evidence of the current ‘pre-competitive’ nature of the field. The paper’s result shows that “scientific collaboration is key” in the global effort to build a fault-tolerant, universal quantum computer, Reilly said. “Such a machine will not be built in a single laboratory or a single institute. It will require cooperation on a global scale, working with some of the biggest technology companies in the world. I have a position with Microsoft and Andrew leads a project with SQC. By working together, we are showing strong academic collaboration alongside an emerging quantum economy,” he said. Director of the CQC2T and SQC lead scientist Michelle Simmons, who co-authored a similar paper in November, has previously described the quantum computing research climate as “highly competitive and highly collaborative at the same time”. Earlier this month the University of Sydney, UNSW, Macquarie University, the University of Technology Sydney (UTS) announced they would be establishing a state government backed, $35 million 'Sydney Quantum Academy', which will see researchers from the universities and industry collaborate to advance quantum technologies. Jim Held, the director of emerging technologies research at Intel, which is also pursuing an ambition to build a complete quantum computing system, told Computerworld that it was natural companies and institutions were working together on the "marathon" effort. “It is an example of an area where it’s early. And a lot of what’s being explored is ‘pre-competitive’. So you’ll see us working with many academic partners, you’ll see us publishing results so that we get feedback on them, and we build on each other’s insights,” he said. “[The collaboration in the field] is an example of the fact that this is something that is really ahead of the current market so far that it’s natural to do this and we all go faster because of it,” Held added.